Social entrepreneur, Kathleen Bennett has worked in the field of fund development for 20 years. She raised eight million dollars in seven years for The Girls’ Middle School . Currently, she consults for small non-profits in Silicon Valley helping them RAISE MORE MONEY for the causes they champion. As a fundraising Consultant, I have been helping Bay Area non-profits for over 25 years. Kathleen knows fund development both as a philanthropist and a fundraiser. As founder and head of The Girls' Middle School, Kathleen raised eight million dollars in seven years starting from scratch with no funders or angel donors. She learned fundraising in the trenches, doing some things well and others poorly. She hopes her consulting will help you avoid the mistakes she made, learn to fundraise well, establish excellent relationships with your donors and raise more money for the causes you champion. After stepping down from her roles at GMS, she created a a consulting firm which focussed on assisting non-profits with major donor funding development. In 2013, she rebranding her consulting firm as the "Art of Ask" and offered 2 workshops a year. Presently, she is concentrating on consulting as it gives her an opportunity to work one - to - one with her clients. 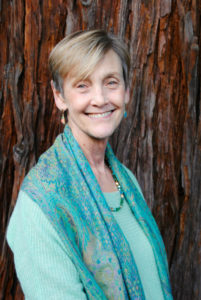 Currently, she lives in Portola Valley, CA, with her husband, Tom Malloy, loves hiking and is an avid organic gardener. Raised over $2 million during start-up phase and $8 million over all. Recruited an advisory council of 36 prominent educators, technology professionals, and community activists. Recruited and managed 150 volunteers to bring the school to fruition in the fall of 1998. Developed and oversaw a $2 million annual school budget. Hired, mentored and evaluated all faculty and staff. Managed community liaison, marketing and public relations: GMS was featured in The New York Times, Newsweek, Teacher Magazine, CBS Sunday Morning News, KQED Forum, San Jose Mercury News, San Francisco Chronicle, Chicago Tribune, as well as 50 other news articles, TV and radio broadcasts. Serves on the advisory council of Sequoia Adult School Scholars. Volunteers as a docent at the Stanford University Jasper Ridge Biological Preserve. Is a member of the American Association of Fundraising Professionals. Consults with Swing Left and Mind the Gap, organizations that are working to elect Democratic candidates to office in 2020. Over the years, Kathleen has consistently provided our organization both the tools and highly-personalized advice that have enabled us to exceed our ever-increasing fund raising goals. Kathleen's advice was instrumental in the success of our ambitious fundraising campaign. I highly recommend her. Because of Kathleen’s coaching, our team not only understands the value of strategy, storytelling, and stewardship, we also feel excited about asking. I work with executive directors, development directors, board members and volunteers about how to effectively RAISE MORE MONEY for their causes. Honor the philanthropist is my fund-development motto. With that in mind, my goal is to listen to donors with empathy, patience, and respect and to explore if there is a good match between the donor’s interests and my cause. Build relationships is the cornerstone of fund development. My life feels richer, fuller, and more complete as I build relationships based on shared values. Make the world a better place. The non-profit sector feeds the hungry, alleviates the scourge of poverty, educates our children, uplifts women, protects our environment, supports medical research, and brings the joy of art, music, and theater into our lives. We need to raise money to make our world more humane. Why not learn to raise money well? Solicitor Training for Board Members, Staff and Volunteers. May I add you to my General Information list? I send workshop announcements 2-4 times a year.